Looking for truth? 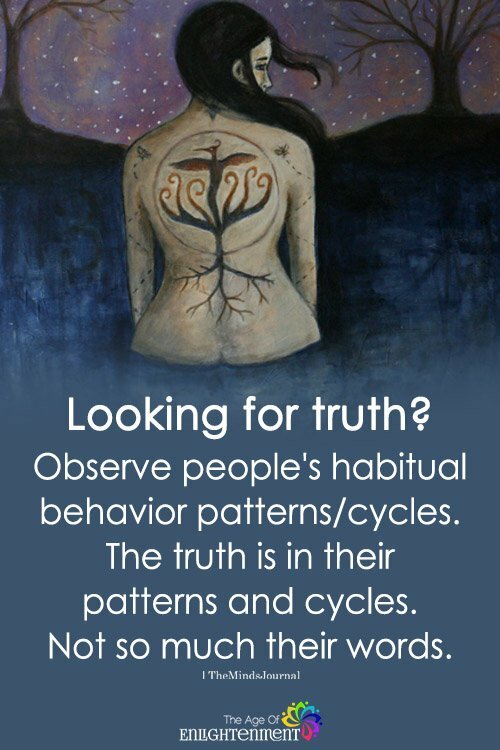 Observe people’s habitual behavior patterns/cycles. The truth is in their patterns and cycles. Not so much their words. Past behavior predicts future behavior!